Japanese soy sauce maker Kikkoman Corp. has lowered its full-year earnings forecast, despite profit growth returning in the third quarter of its financial year. Net profit for the nine-month period to the end of December climbed 3.1% to JPY8.3bn (US$108.9m). Operating profit amounted to JPY16.19bn, a 10.4% increase on the prior-year period. Sales for the nine months edged up 0.8% to JPY217.18bn. 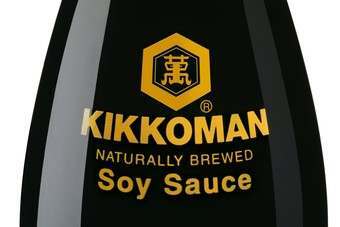 Kikkoman attributed the increase to "strong sales" in North America and Europe, as well as Asia and Australia. The results indicated Kikkoman's performance improved in the third quarter of the year. In November, Kikkoman reported a 3.3% fall in half-year net profit and a 9% drop in operating profit. The company's net sales in the first six months of its financial year were down 1.2%. However, despite the improvement, Kikkoman today (3 February) lowered its full-year earnings and sales forecasts. The company now expects 2012 net income of JPY8.6bn compared to its previous forecast of JPY10.2bn. Operating income is now forecast to reach JPY17.2bn instead of JPY18.5bn, while sales are predicted to come in slightly lower at JPY280bn from a previous forecast of JPY281.5bn. "The global economy faced difficult conditions in the third quarter of the fiscal year ending 31 March 2012," the company said. "The outlook for this recovery, however, was clouded and weighed by uncertainties in the US and European economies, a consequent strengthening of the yen, rising raw material costs and a variety of other factors. "In this climate, the Kikkoman group's sales were sluggish for soy sauce, food products and beverages and sake and wine, but higher year-on-year for other businesses in Japan."